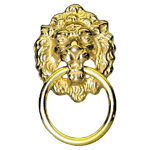 Cast brass ring pull with a regal lions face that dates back to the Victorian-era but has a classical feel. 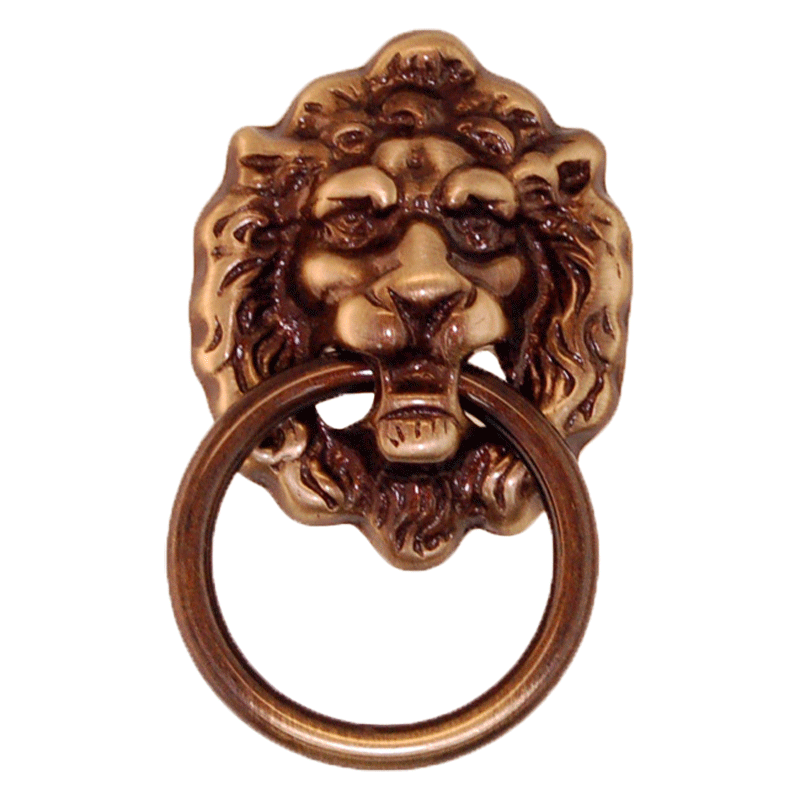 This ring pull will add style and flair to any piece of furniture that you might put it on. 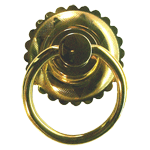 Package contains one ring pull with backplate and mounting screw. Item ships same or next business day. This item is $5.38 when your order exceeds $250 before shipping in qualifying items. 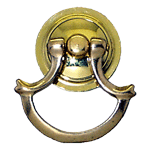 Hardware Tip: Ring pulls add a classic style and vintage flair to any piece of furniture.